Clamping surface flatness (concave): 0.0006"
Cylindrical center bore concentricity: 0.0008"
Taper center bore concentricity: 0.0008"
Surface to base parallelism: 0.0008"
Surface to angle face squareness: 0.0004"
Surface to center slot squareness: 0.0008"
Height to center hole (vertical): 5.985"
Table height in horizontal position: 4"
Table height in vertical position: 9-1/4"
Approximate shipping weight: 75 lbs. I purchased this rotary table for use on my 9x49 mill. The rotary table was shipped in a very secure box to avoid damage. After filling with oil set up was easy on the mill table. Initially the crank wheel seemed out of round/bent and scraped the zero set indicator as it completed a revolution. After a call to grizzly they helped me figure out how to align the zero marker and the table has performed smoothly and flawlessly. It does need a small amount of break in. 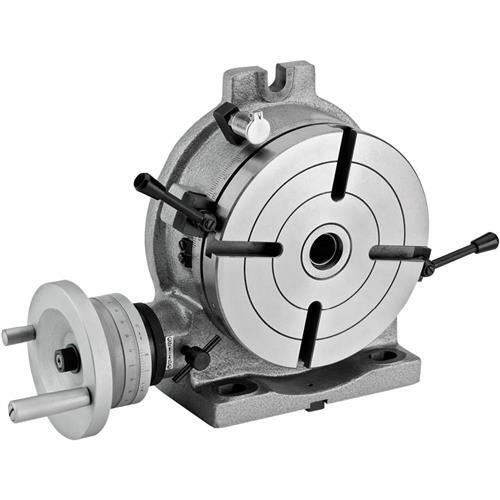 The double rotary table locks have proven valuable the performing set ups on an already aligned part. 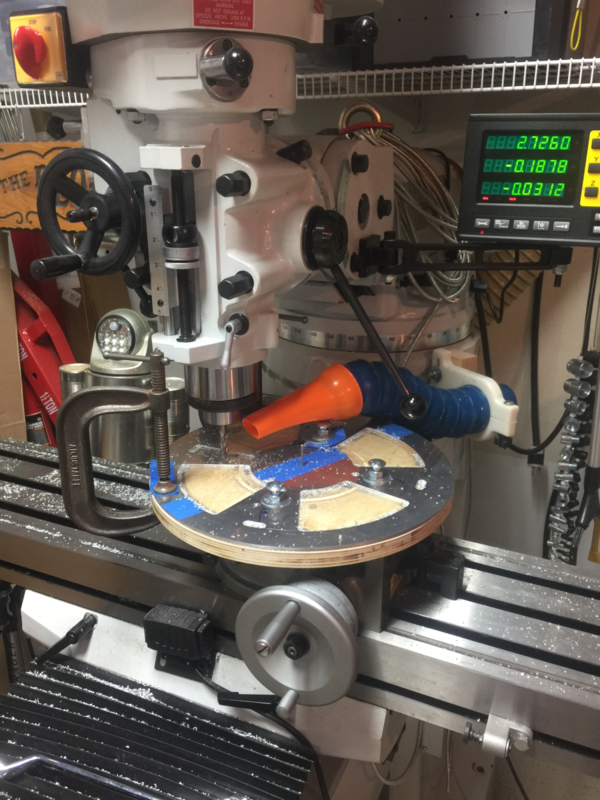 For the money spent-- this rotary table is hard to beat. An improvement would be to either include a set of T-nuts or provide a link to add them to the cart.